Rey Mysterio has reportedly signed his deal to return to WWE. The deal is for two years, according to PWInsider. Mysterio had been trying to negotiate an 18-month contract but WWE wanted a two year deal and they finally settled on that. 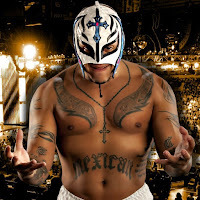 Mysterio was able to work in a clause that allows him to give notice at the 18-month mark if he wants to leave. No word yet on when the former World Heavyweight Champion will be returning to WWE TV but he is preparing for the return as WWE comes up with creative plans for him. Mysterio returned to WWE at the Royal Rumble earlier this year and later worked the Greatest Royal Rumble event in Saudi Arabia. The two sides have been working on a deal since then.